TAMPA, Fla., March 18, 2019 /PRNewswire/ -- Dr. Darlyne Bailey has been named Chair of the Board of Directors of Ultimate Medical Academy, a Tampa-based nonprofit higher education institution, effective immediately. "We are honored to have Dr. Bailey assume leadership of our board of directors," UMA President Derek Apanovitch said. "With her extensive experience in higher education administration, and two years of service on the UMA board, she is uniquely qualified to help us advance our vision to be a leader in providing successful healthcare career outcomes for our students through a culture of innovation, commitment, and service." A recognized leader in higher education, Dr. Bailey has served as an educator and administrator for the past 24 years at several prominent institutions, while making numerous additional professional contributions. 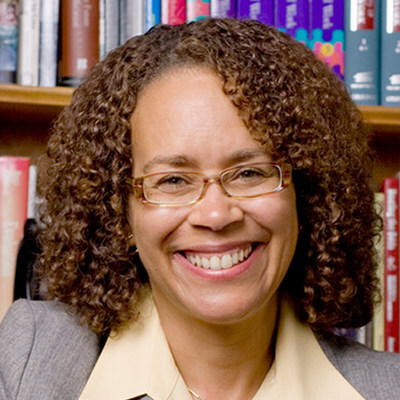 Currently a Professor, Dean Emeritus, and Special Assistant to the President at Bryn Mawr College, Dr. Bailey has previously taught and served as Dean of Professional Schools at Case Western Reserve University, as a Dean at the University of Minnesota, and as Dean and Vice President of Columbia University's Teachers College (where she also served as acting President). "Access to high quality education and healthcare remain among the most critical areas in determining one's sense of self-worth and the ability to be an engaged citizen of our society and world," Dr. Bailey said. "We now know the intergenerational impact made by education and healthcare as well. I am honored to offer my perspectives to an institution that is committed to excellence in both of these areas and to 'lead the leaders' on our UMA board. The curricula, the process used to deliver it, and the co-curricular support offered to our UMA students collectively positions us well in meeting the demands of the student and workforce of today and the envisioned future." Dr. Bailey succeeds UMA's former Executive Chair Jane Swift, who has decided to move on from the institution to pursue other professional opportunities following a two-year term on UMA's board. "We are grateful for the meaningful impact Jane made on UMA, especially during her tenure as Executive Chair," Apanovitch said. "Most notably, Jane was an effective ambassador for UMA throughout the Tampa Bay area and the State of Florida. We look forward to continuing to build on these community and institutional relationships that Jane helped establish. We wish her all the best in her future endeavors and know that she will be rooting for our students from her home in Massachusetts."